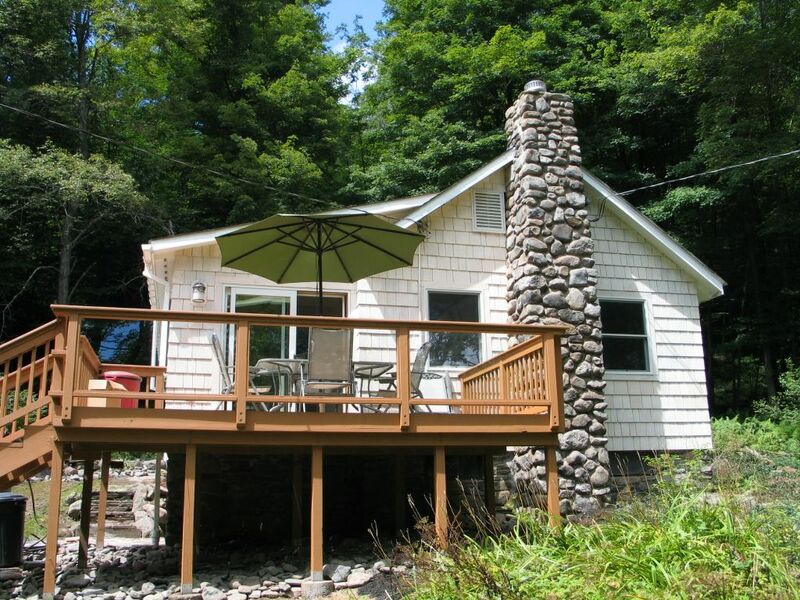 Sitting on 58 private acres our home and property offer the comfort and privacy you expect a stay in the Catskills to include. Recently completed renovations assure your stay will be as pleasant as the views. The kitchen is fully stocked and opens onto a deck with glass panel views of the lower pasture and brook. A gas grill sits on a bluestone patio in back. Property is bordered by both the Sprague & Mine brooks allowing private fishing and swimming with a 1/2 mile of frontage covering both sides of the quiet road. The property has hiking trails and a turn of the century bluestone rock quarry. The famous Willowemoc and Beaverkill are minutes down the road offering the best in Northeast trout fly-fishing. The property was what was advertised. The home was very clean and comfortable. The owner stocked the kitchen with paper goods, tea, coffee, etc. We had a wonderful time. My husband and I traveled from Louisiana to run a race in Livingston Manor. My daughter and her friend came in from the city to stay with us. This was the perfect place to stay. We were so close to so many things to see. The property is gorgeous. As much as we liked venturing out, we also loved just hanging out at the house. We grilled one night, and we sat and drank wine by the fire pit 2 nights!! It was pretty great. Highly recommend for a relaxing getaway! Had a nice relaxing stay. Kids loved the quarry and streams - make time to hike through the woods to check out the falls. Nice, clean, well stocked cabin. The place was clean and organized, plenty of games for the kids which came very handy when the rain didn't stop coming down. Being able to play in the brook was great. Booked this for my older parents for a few weeks Patti Ann was very helpful at all times and accompdated all our needs. The home is perfect we know the area and it is up on a hill with less humidity and lots of sunshine. The super clean and cold water from the mountain is the greatest thing in the summer to cool off and for drinking. Very close to the great town of Livingston Manor. Highly recommended to stay at this beautiful home and get away for a while.